Is it possible to create a more harmonious planet? Many feel this is beyond our reach. What about starting with ourselves and our community? Small steps impact larger ones; we can learn to direct these small steps in new and tremendously positive ways. Join us for this special one night teaching with Venerable Amy Miller and explore how we can create the causes for harmony both in our personal lives and the world around us. Amy J. Miller (Ven. Lobsang Chodren) first encountered Tibetan Buddhism in the spring of 1987 during a course at Kopan Monastery in Nepal. 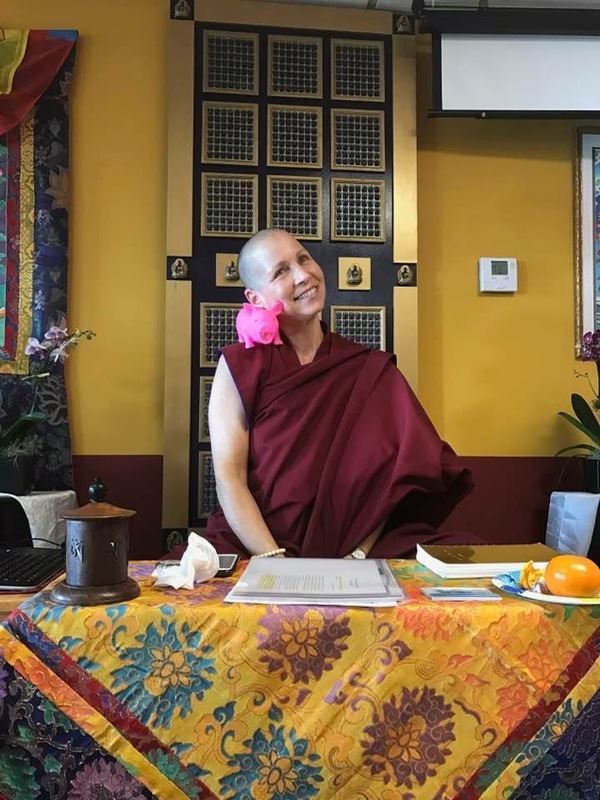 Since then, she has spent a great deal of time engaged in meditation retreats, study, teaching, and Buddhist center management throughout the world. Prior to meeting the Dharma, Ven. Amy was a political fundraiser in Washington, DC and also worked for Mother Jones Magazine in San Francisco, California. Ven. Amy was ordained as a Buddhist nun in June 2000 by the great Tibetan master, Ven. Choden Rinpoche, and has been teaching extensively since 1992. Her teaching style emphasizes a practical approach to integrating Buddhist philosophy into everyday life. She is happy to help people connect with meditation and mindfulness in an effort to gain a refreshing perspective on normally stressful living. Ven. Amy’s courses and retreats focus on establishing and maintaining a meditation and mindfulness practice, death and dying, overcoming anxiety and depression, battling addiction, dealing with self-esteem issues, and cultivating compassion and loving kindness. Ven. 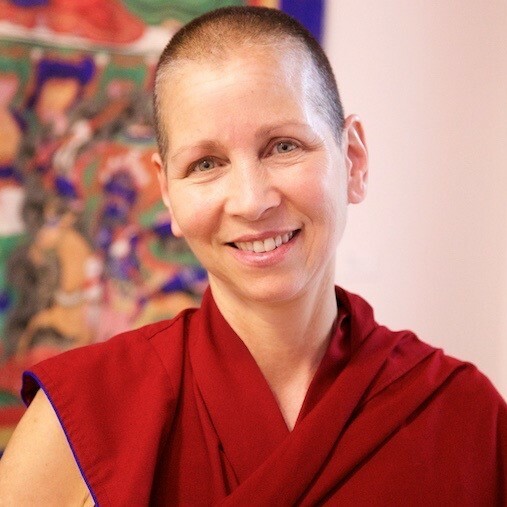 Amy is the co-author of Buddhism in a Nutshell – and a contributor to Living in the Path, a series of online courses produced by FPMT. Based in the United States, in Philadelphia, Pennsylvania, Ven. Amy teaches and leads retreats and pilgrimages around the world. Her teaching schedule and other information can be found at www.AmyMiller.com.